But it was really a movie, a novel and realistic hoax. Ghostwatch (available now on DVD) headed an inch at a time from its convincing, deliberately boring reality show framing into a demonic nightmare. This was stunningly original work in 1993 and the nation was savaged by it. The over-the-top ending, intended to make it all look like hokey fun, seemed to have the opposite effect: they killed the key presenter of Children's BBC on "live" television, at the hands of a dead child molester's spirit, while knowing that the children would be watching! Or, worse, sent to bed by their parents as they realized where the show was going. Greene had to go on TV the next day to reassure the nation she had not been lost to the darkness -- an ending uncannily similar to that depicted in The Blair Witch Project a few years later. In November 1993, a year after the programme’s one-off airing, two doctors from a child psychiatry unit in Coventry, Dawn Simons and Walter Silveira, submitted an article to the British Medical Journal (BMJ) recording the first cases of post-traumatic stress disorder caused by a television programme. It was full of stone-cold manipulations of the audience, from the ace casting of starchy, straight-laced Parkinson to a scene where the on-location film crew appears to catch a teenage girl hoaxing them by knocking pipes -- a particularly adept validation of the audience's skepticism as a prelude to ruthlessly violating it. I don't want to watch it again because I worry that its bag of tricks will be so hackneyed and dated now as to be ridiculous from the outset, even to a child. But it was a lightning bolt of postmodern television craft, emerging from the haunted timeless calm that followed the cold war, an early warning of what was to come. 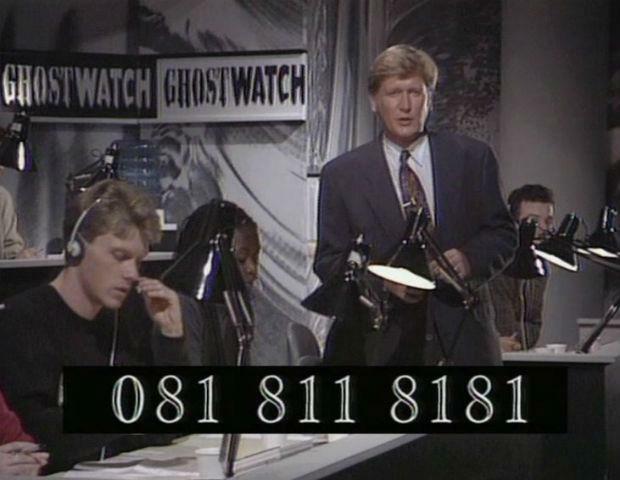 The odd coda: the British tabloids tried to use the Ghostwatch controversy to get the BBC shut down, but their fake outrage shouted down the real outrage. This inoculated the show against any genuine public anger while investing it with such an aura of mystery and power the BBC would never rebroadcast it. And so legends are born.